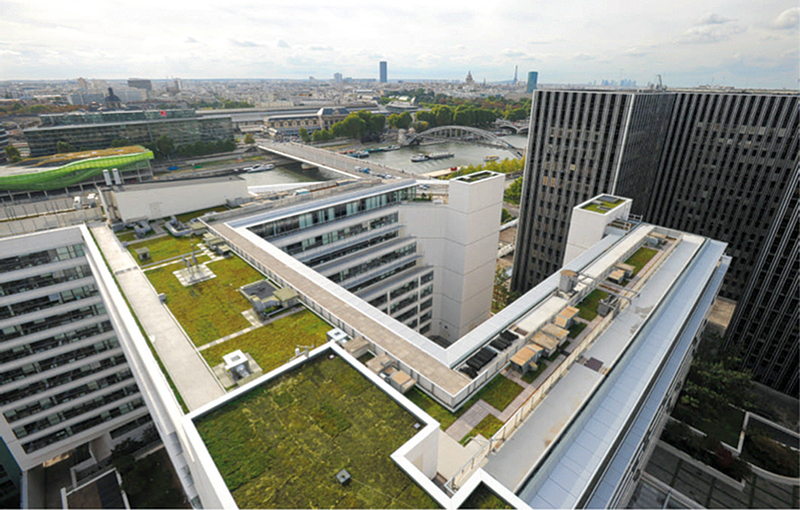 The roof of RATP’s headquarters building was originally insulated in 1995. Following an energy audit, the company discovered that heating and air-conditioning accounted for 8% of the building’s total energy consumption. It was then decided to install a green roof when renovating the roof after 15 years. The extra cost amounted to €100,000. This investment contributes to the global energy consumption reduction of the building of 25%.